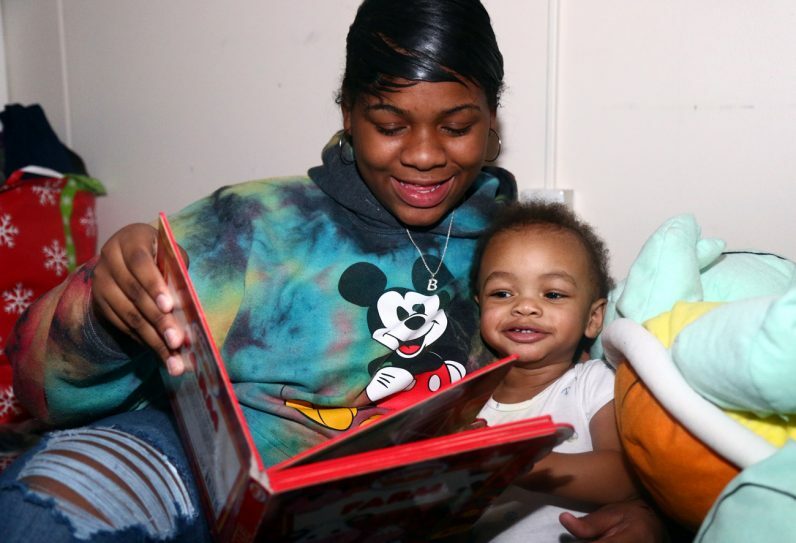 Shayna, a resident at St. Vincent’s Home, reads to her son Sahaad. 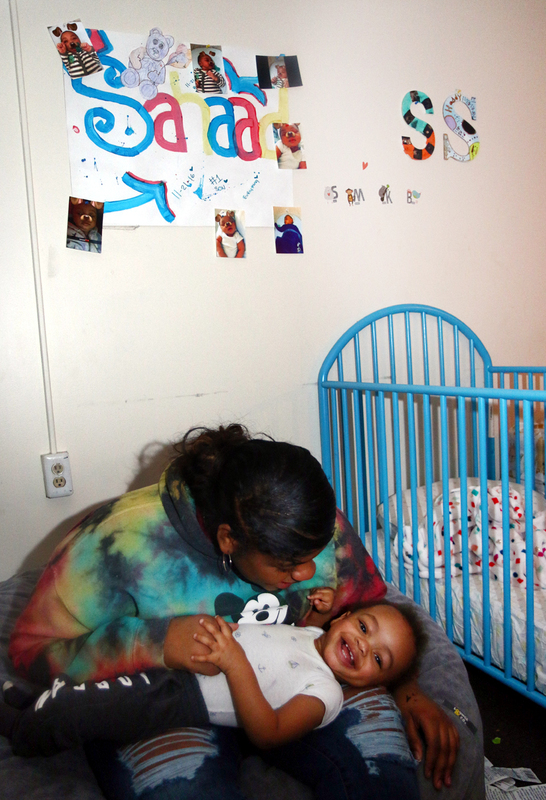 Shayna plays with her son Sahaad in their room at St. Vincent’s Home. Each resident has a private bedroom and bath, along with access to a common kitchen, recreation area and laundry. 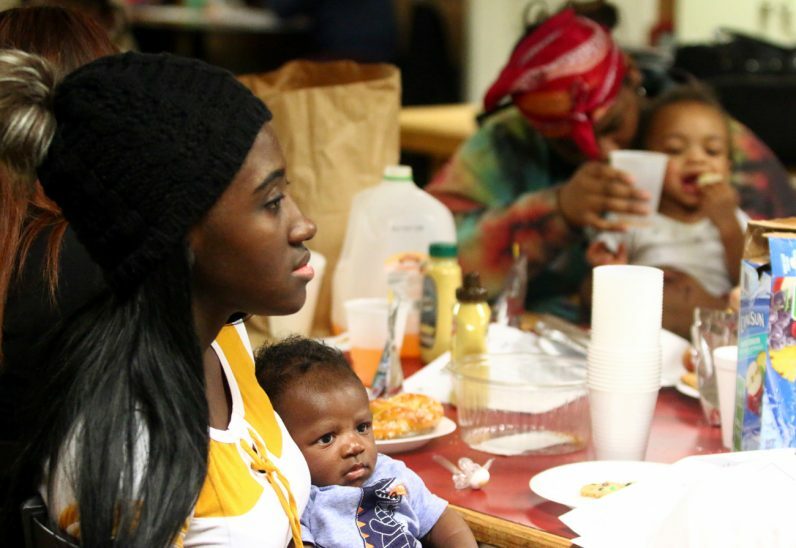 Paula Scott of Catholic Social Services (left, foreground) provides weekly parenting classes to the residents at St. Vincent’s Home. 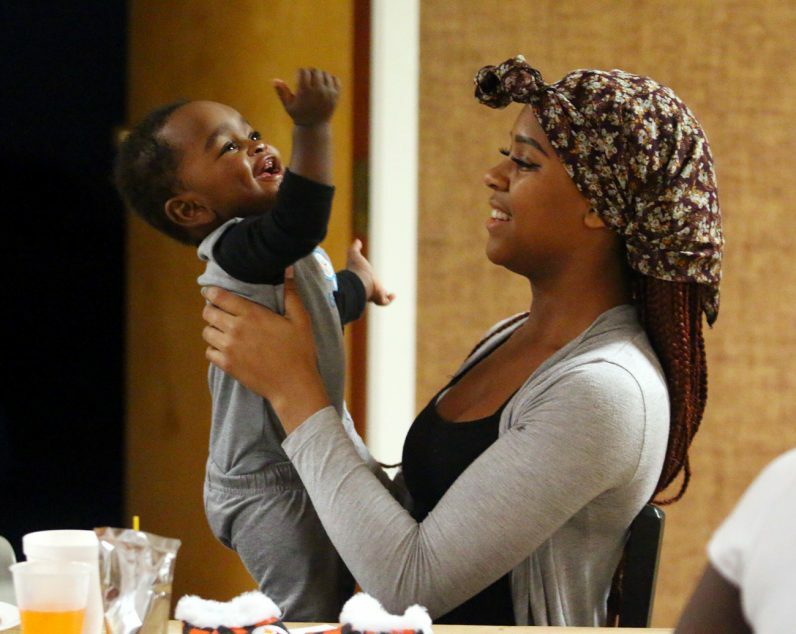 Shakeeta holds her son Jayden during parenting class. 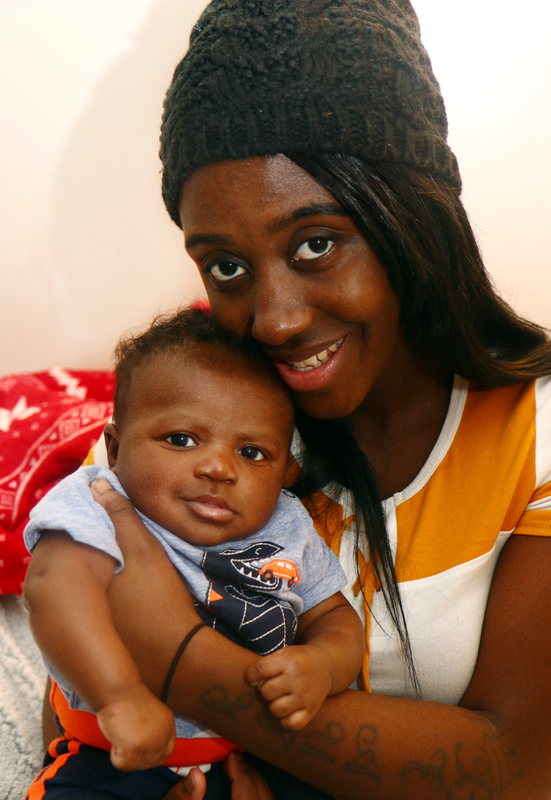 Sahaad smiles at his mom Shayna during a parenting class at St. Vincent’s Home. 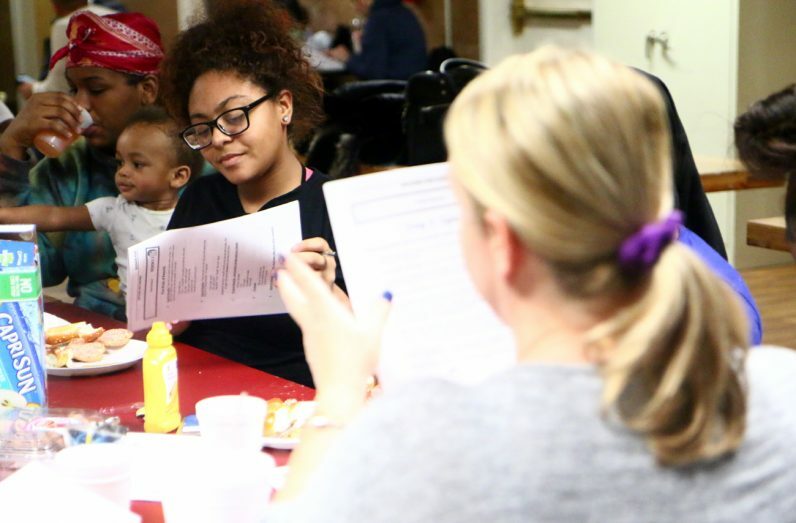 Participants review course materials at a parenting class in the common room at St. Vincent’s Home. 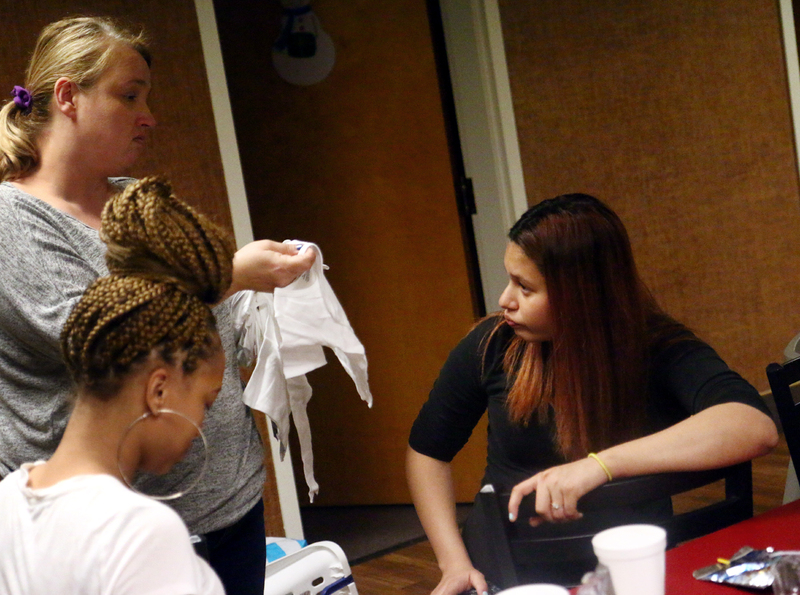 After a parenting class, instructor Paula Scott gives each of the young women shirts for their babies. 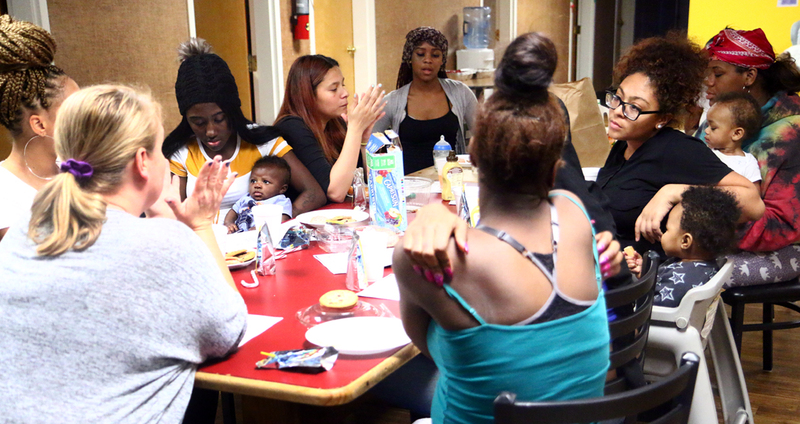 Participants in parenting classes receive “mommy bucks,” or vouchers with which they can purchase baby items from Catholic Social Services. 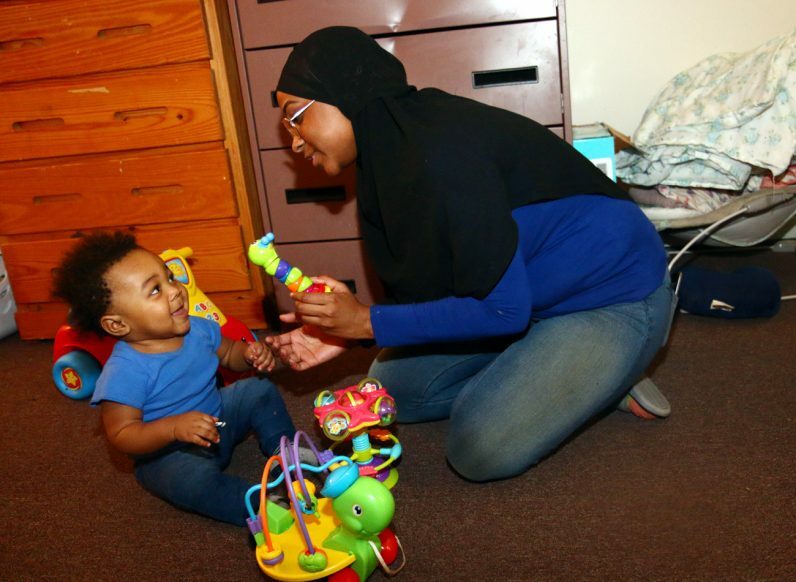 Mira plays with her son Zafir. 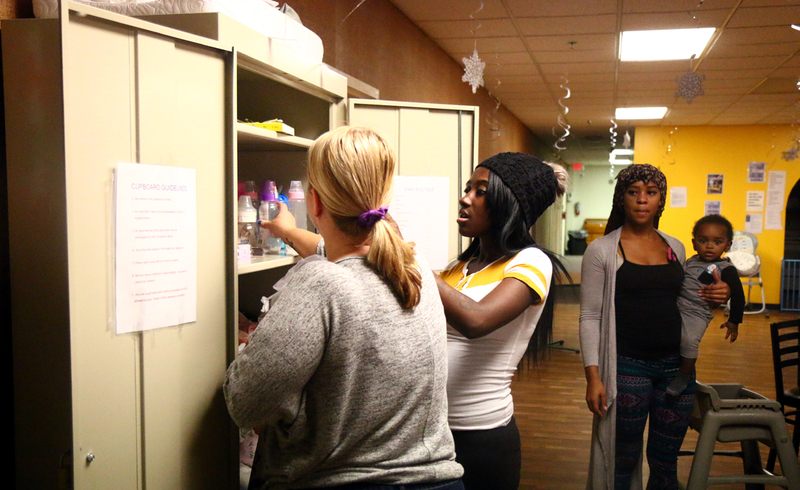 Meleny Torres (right), a youth care worker at St. Vincent Home, helps mom-to-be Juliet pack for the hospital. 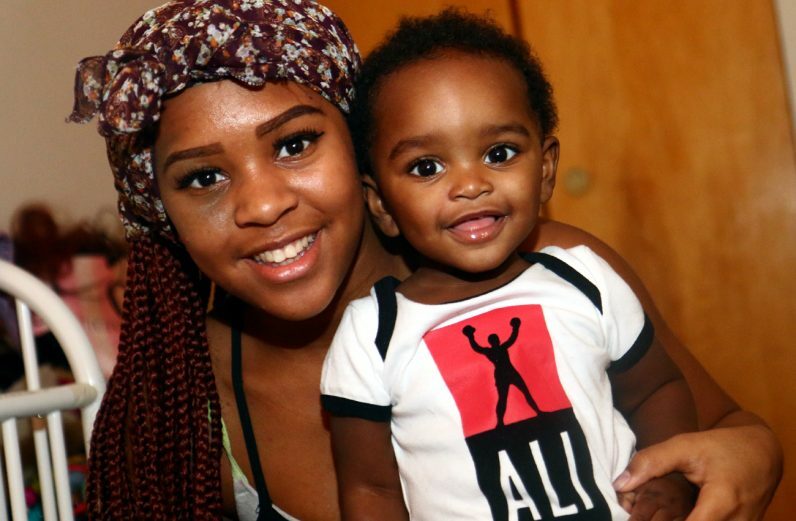 Nyasia dresses her son Zamyre. 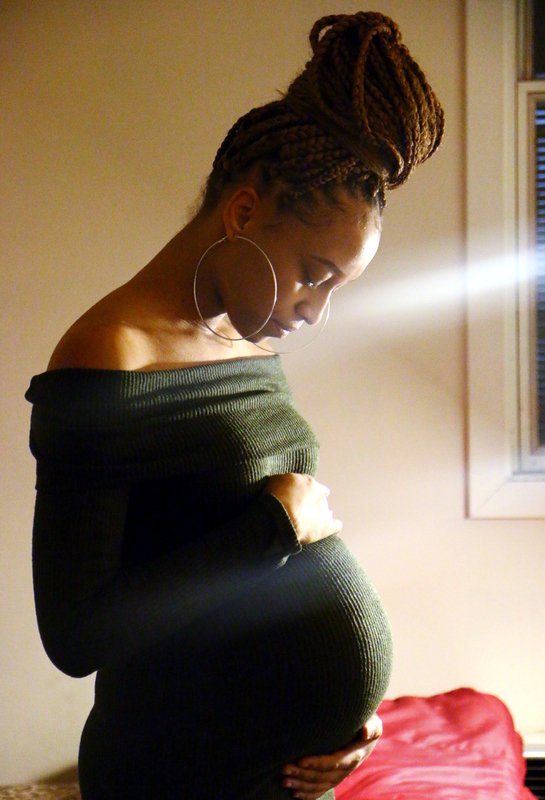 Two expecting mothers at St. Vincent’s Home, due within two weeks of each other, compare their progress. 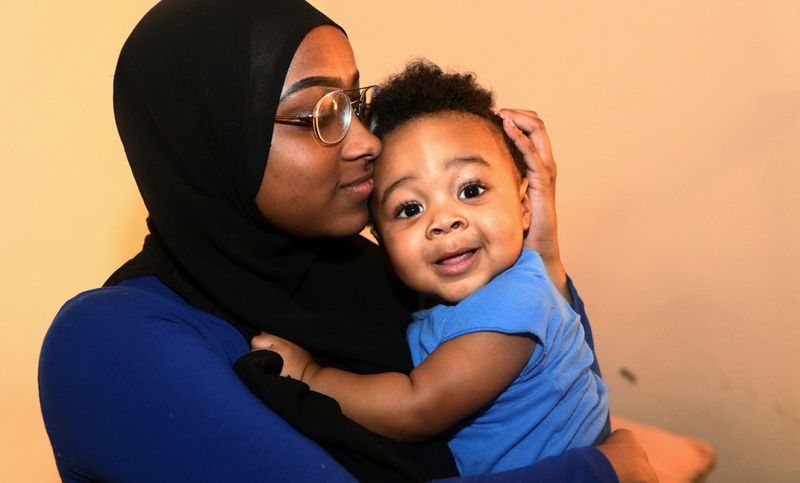 NEXT: Rally presses expansion of school choice options in Pa. 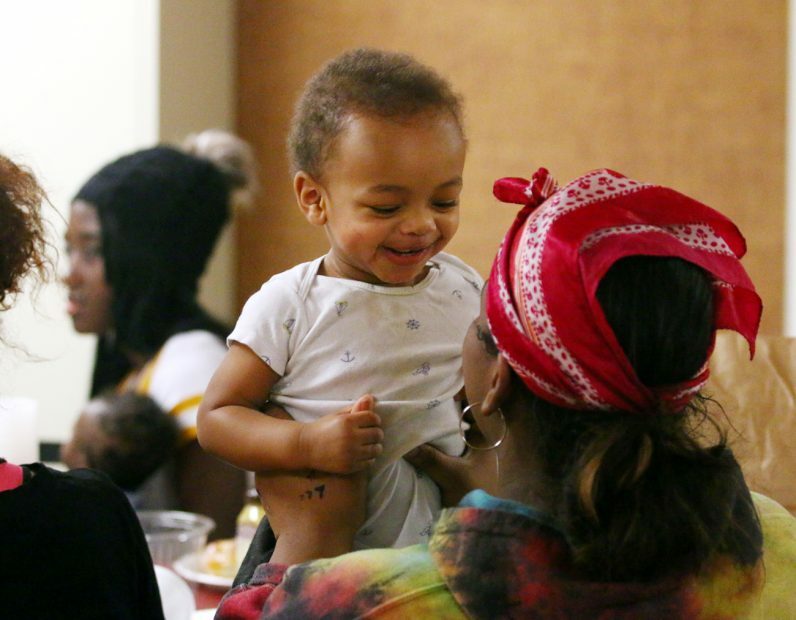 Wonderful to see Catholic Church helping mothers’, babies and mothers’-to-be. 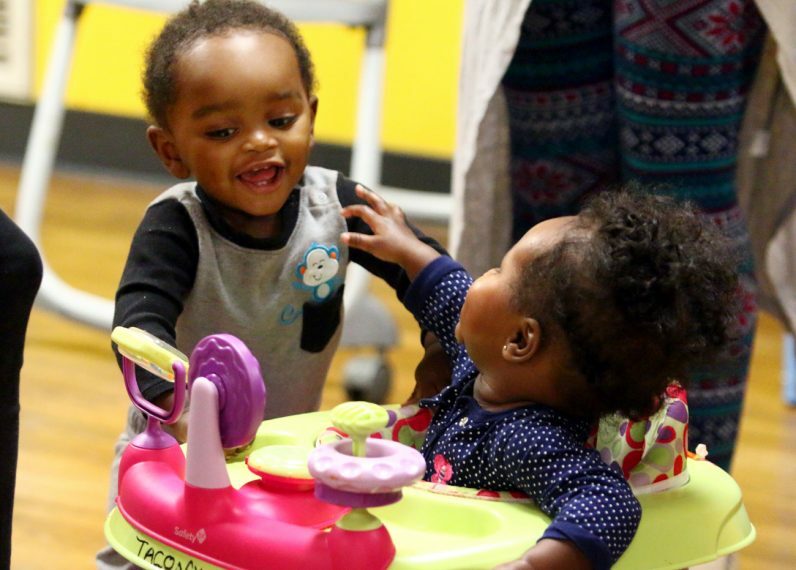 Heartwarming.